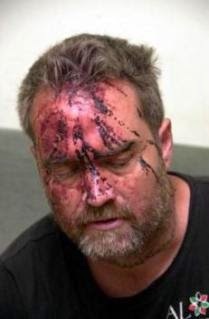 Ken O'Okeefe picture after allegedly being beaten by Israeli goons was [found here] with other picture and video. O'Keefe breaks down the current state of the union in the US quite well. He calls out those who are guilty of war crimes, global thievery, and crimes against humanity. US taxpayers fund their own abuse. US taxpayers fund abuse all over the world. Are Americans committing treason by paying taxes? There is rampant public corruption, police brutality, and judicial misconduct. We can all end up belonging to the [American Gee-I-Had] after being ripped off of everything. Ken O'keefe on PressTV speaks the truth on Syria and current events. The below was cut and pasted [from here]. US President Barack Obama should allow the publication of the 28 pages that were redacted from the Senate’s report on September 11, 2001 attacks which will reveal forces behind terrorism, a political commentator says. “That would at least takes a step forward in trying to expose the forces behind terrorism, but of course they are not going to do that. They want to appease the Saudis in this respect,” added Jones, Washington Bureau Chief of the Executive Intelligence Review . In July 2004, the 9/11 Commission issued a landmark report on the September 11, 2001 terrorist attacks, with many recommendations for upgrading the US security apparatus to avoid a new tragedy. However, 28 pages were redacted from the report, which according to the lead author of the study, former Senator Bob Graham, “point a very strong finger at Saudi Arabia as the principal financier” of the 9/11 hijackers. 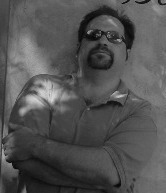 Many observers believe the 9/11 attacks, which killed almost 3,000 people and caused at least $10 billion in property and infrastructure damage, was a false-flag operation and that some segments within the US administration orchestrated the attacks in order to reverse the declining US economy and to save the Zionist regime. “But the underlined problem requires also a change of policy by this government. Obama is moving down a slippery slope towards a Vietnam-like quagmire that could last for years or even decades,” he concluded.